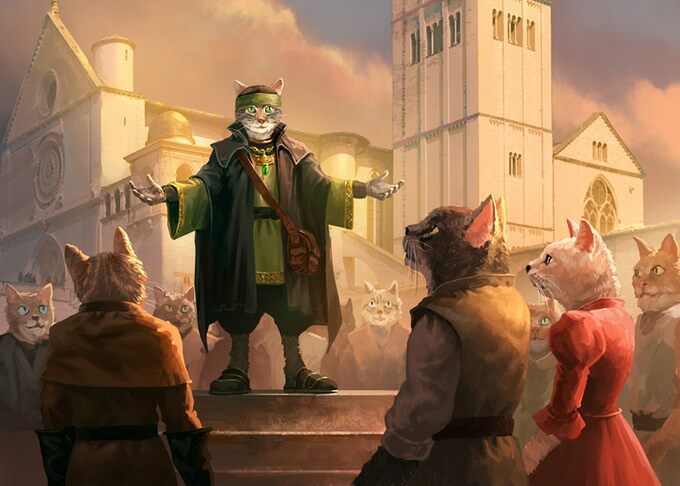 Today on Tabletop Spotlight, we delve into the cat-themed companion to Pugmire: Monarchies of Mau. 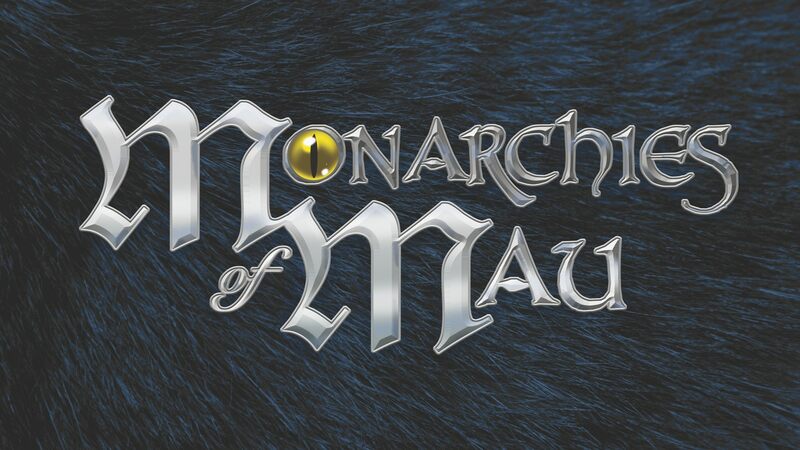 If you’re not familiar with Monarchies of Mau, it was a successfully Kickstarted post-apocalyptic fantasy RPG that built off of Pugmire’s premisem only now it shows how Cats (and elsewhere in the world, Dogs and Rats) have evolved and grown to take over the world that Humans left behind when they were wiped out long ago. The Monarchies of Mau focuses on that feline feeling, because a cat’s the only cat that knows where it’s at. Join us as we take a look into the medieval society the Cats have built. 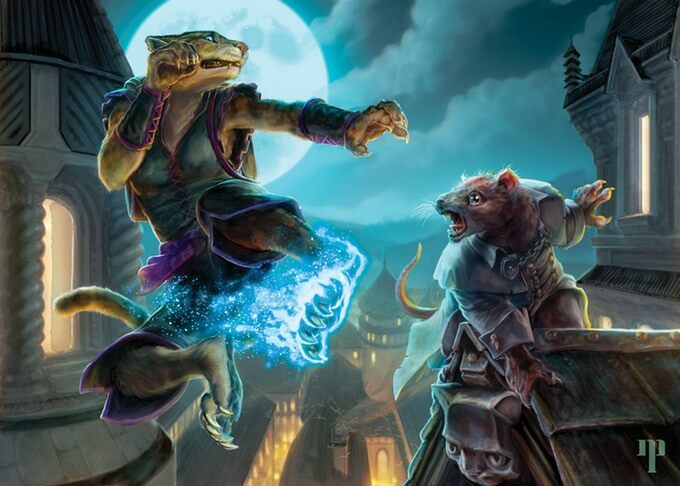 It’s a great take on fantasy RPGs–with anthropomorphized Cats having risen up to build their own society. There’s a few cheeky nods to the strange creations left behind by humans (there are rats who claim to have mastered ‘science’ that belong to the cult of Labra Tor, for instance). As well as offering up perspectives that any cat owner will be familiar with, although I haven’t seen any flaw that leads you to push things off the table. Here you’ll find the six city-states that make up the Monarchies. Each of which is bound by a single code of honor–the precepts of Mau. These are rules that govern cat society, providing a three musketeers like framework for the independent city-states that make up the Monarchies. The system itself is a modified version of the 5th Edition D&D rules–with mechanics having been “streamlined” a little further to help promote cooperation and action over straight up murderhoboing. Which falls in line with the game’s goal of creating a family-friendly setting. After all, anyone can make a heroic cat or dog–and this game is all about appealing to everyone–it’s more Redwall or Planet of the Apes than Watership Down, for instance. Which can be a good thing, depending on what you’re after. If you’re looking for something friends of all ages can play and enjoy, for something that empowers players to tell cooperative stories, you might want to pounce on this one. After all, everybody wants to be a cat.